I’d tried to use this Facebook Blue Text Link with my Facebook Profile status, but it seems that I can’t do such a trick. Although, on testing to the Facebook Fan Page url address, the trick goes smoothly. 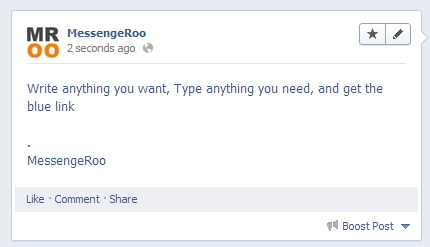 You can see on the picture below or get the real example at MessengeRoo status and comment here. Facebook Emoticons on Comment are Real! If you are a kind of person who love to make a chat via Facebook Messenger or Facebook Chat, you must be familiar with its Emoticons. To day we noticed that there is a good step on the usage of this FB Emoticon: Right now the Facebook Chat Emoticons can be used in Facebook’s comment. Here are the example that we try on our Facebook Page: as you can see the smile emoticon, the big smile emoticon, kiss emoticons, and even some “unique” emotes like shark, putnam face aka justine bieber face and 42 number are included. What a thing? Actually this feature is a wall to wall post, you might notice that the content of this wall to wall is wall to wall but it mixed up with private messages. This makes what should be a Private Message turn to public Facebook wall to wall post. 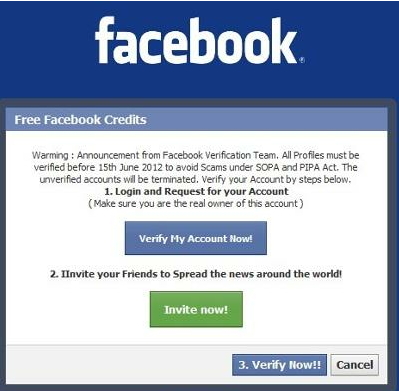 As the largest social networking on earth, the Facebook become one of the best target for lamer or “cracker” or hacker to attack or use it in term of “illegal” ways, such as gathering personal info, distribute their malware, or use it as a “door” to infiltrate their computer. There are a lot more. One of them called as Facebook Clickjacking. I’m here to give you an advice. The Advice that would help you to prevent those kind of Facebook click jacking therefore you are not worry about those malware and feel save whenever you wanna click any link on website. Why we said link? It because FB Click jacking usually “plant” their malware onto any links that appears on the website. Did you ever see a facebook user that didn’t have any nickname or name in their account? Are you wondering why you can’t see their nickname and how is it possible? 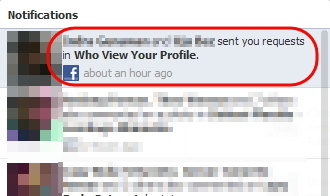 If you never encounter those kind of fb name just take a look at the picture above. 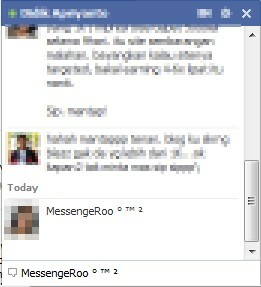 That’s how the look like of invisible name on Facebook. The nickname is being emptied or got blank. It just that they only used “space bar” character on their facebook’s name.